There are many policymakers and influencers spread across government, so find out where the action is, or the key venues in which people are making authoritative decisions. Each venue has its own ‘institutions’ – the formal and written, or informal and unwritten rules of policymaking – so learn the rules of each venue in which you engage. Each venue is guided by a fundamental set of ideas – as paradigms, core beliefs, monopolies of understanding – so learn that language. Each venue has its own networks – the relationships between policy makers and influencers – so build trust and form alliances within networks. Policymaking attention is often driven by changes in socioeconomic factors, or routine/ non-routine events, so be prepared to exploit the ‘windows of opportunity’ to present your solution during heightened attention to a policy problem. From where did these concepts come, and how well do we know them? To cut a long story short, each concept represents its own literature: see these short explainers on the psychology of policymaking, actors spread across multi-level governance, institutions, networks, ideas, and socioeconomic factors/ events. What the explainers don’t really project is the sense of debate within the literature about how best to conceptualise each concept. You can pick up their meaning in a few minutes but would need a few years to appreciate the detail and often-fundamental debate. Ideally, we would put all of the concepts together to help explain policymaker choice within a complex policymaking environment (how else could I put up the image and present is as one source of accumulated wisdom from policy studies?). Peter John describes such accounts as ‘synthetic’. 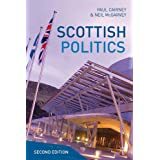 I have also co-authored work with Tanya Heikkila – in 2014 and 2017 to compare the different ways in which ‘synthetic’ theories conceptualise the policy process. However, note the difficulty of putting together a large collection of separate and diverse literatures into one simple model (e.g. while doing a PhD). building into policy analysis the recognition that any policy solution is introduced in a complex policymaking environment over which no-one has control. PET shows the overall effect of policymaker psychology on policy change: they combine cognition and emotion to pay disproportionate attention to a small number of issues (contributing to major change) and ignore the rest (contributing to ‘hyperincremental’ change). The IAD focuses partly on the rules and practices that actors develop to build up trust in each other. The ACF describes actors going into politics to turn their beliefs into policy, forming coalitions with people who share their beliefs, then often romanticising their own cause and demonising their opponents. The NPF describes the relative impact of stories on audiences who use cognitive shortcuts to (for example) identify with a hero and draw a simple moral. SCPD describes policymakers drawing on gut feeling to identify good and bad target populations. Policy learning involves using cognition and emotion to acquire new knowledge and skills. … but the pace of change in psychological research often seems faster than the ways in which policy studies can incorporate new and reliable insights. 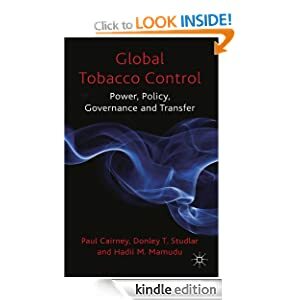 Then, have a look at this discussion of ‘synthetic’ policy theories, designed to prompt people to consider how far they would go to get their evidence into policy. 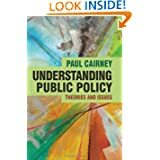 As described, this focus on the new policy sciences helps explain why ‘the politics of evidence-based policymaking’ is equally important to civil servants (my occasional audience) as researchers (my usual audience). To engage in skilled policy analysis, and give good advice, is to recognise the ways in which policymakers combine cognition/emotion to engage with evidence, and must navigate a complex policymaking environment when designing or selecting technically and politically feasible solutions. To give good advice is to recognise what you want policymakers to do, but also that they are not in control of the consequences. Well, that is the last of the posts for my ANZOG talks. If I’ve done this properly, there should now be a loop of talks. It should be possible to go back to the first one in Auckland and see it as a sequel to this one in Brisbane! Or, for more on theory-informed policy analysis – in other words, where the ‘new policy sciences’ article is taking us – here is how I describe it to students doing a policy analysis paper (often for the first time). Or, have a look at the earlier discussion of images of the policy process. You may have noticed that there is a different image in this post (knocked up in my shed at the weekend). It’s because I am experimenting with shapes. Does the image with circles look more relaxing? Does the hexagonal structure look complicated even though it is designed to simplify? Does it matter? I think so. People engage emotionally with images. They share them. They remember them. So, I need an image more memorable than the policy cycle.